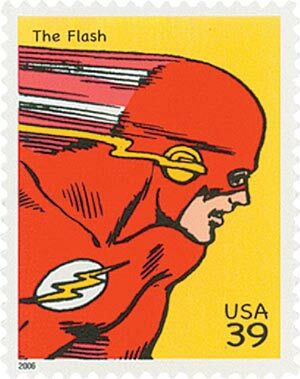 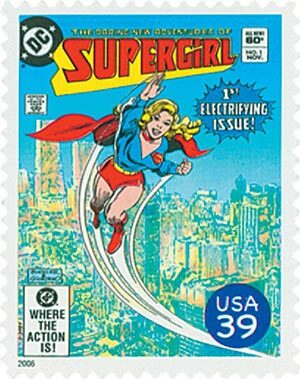 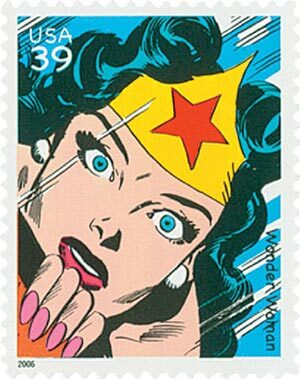 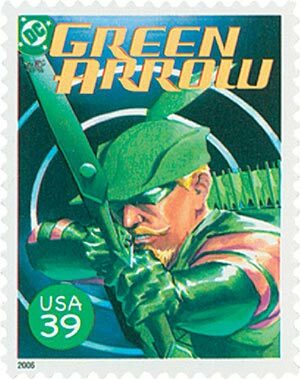 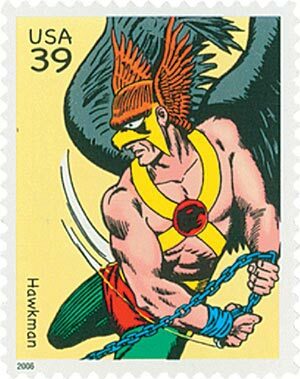 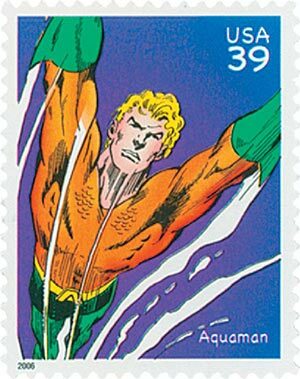 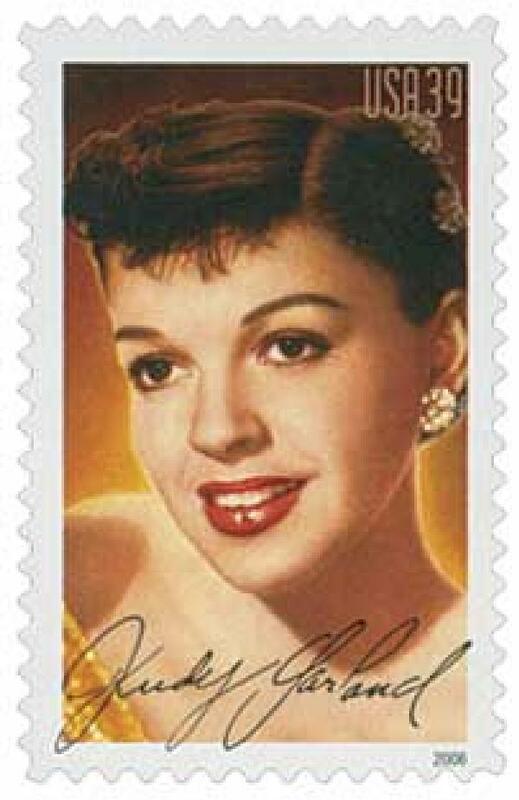 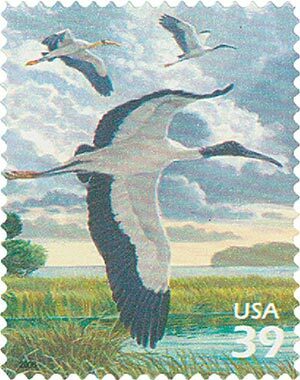 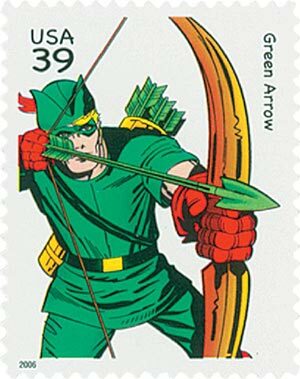 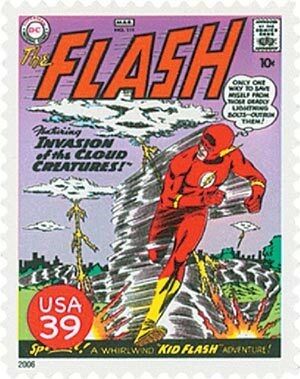 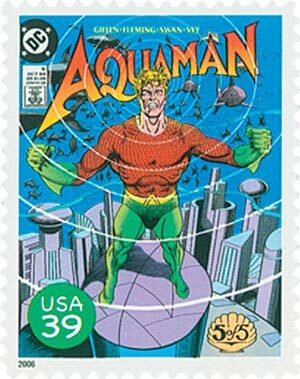 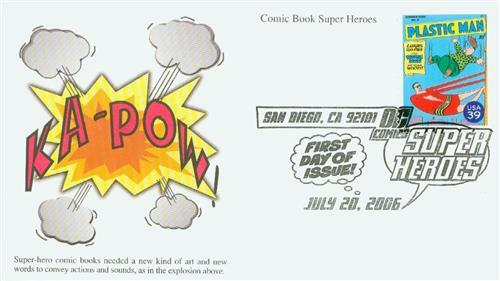 With the exception of Supergirl, who appeared in 1959, all the super heroes on these 2006 stamps were created during the Golden Age of Comics (the late 1930s to the early 1950s). 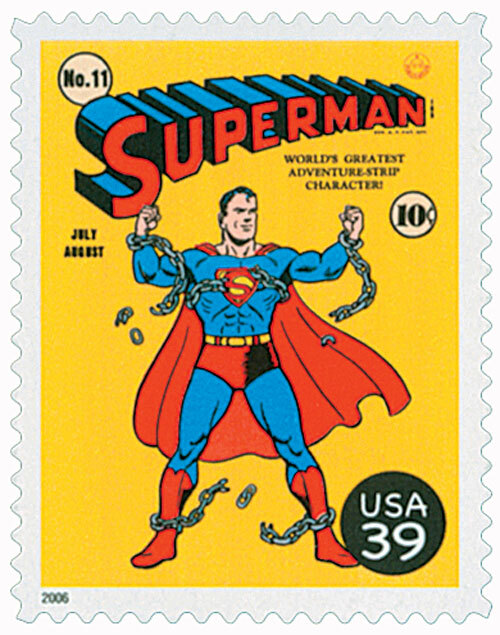 Superman first flew in Action Comics in June 1938. 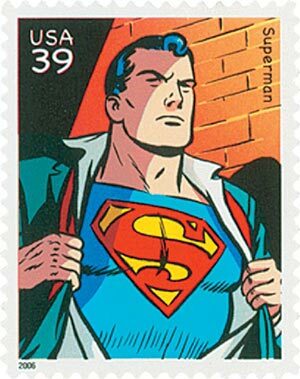 Disguised as Clark Kent, a journalist in Metropolis, Superman used his super strength, speed, vision, and hearing to save the innocent and to capture the bad guys. 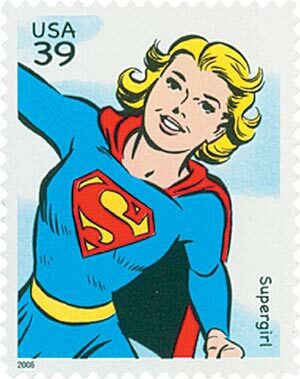 Superman was followed in May 1939 by Batman, in Detective Comics. 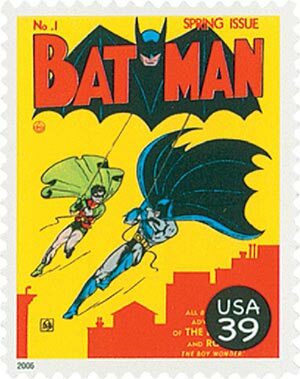 Batman was Bruce Wayne, a rich industrialist living in Gotham City. 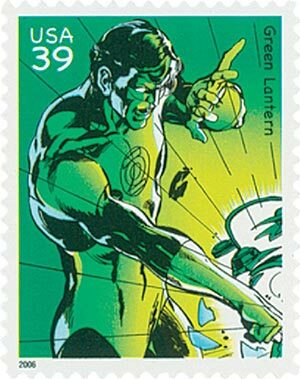 He had no super powers himself, but his technological devices, like the Batmobile car, made him a powerful crime fighter. 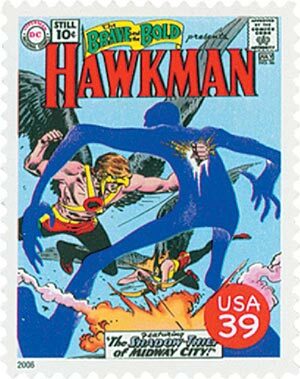 The success of these characters led to the creation of three more fantasy heroes in 1940. 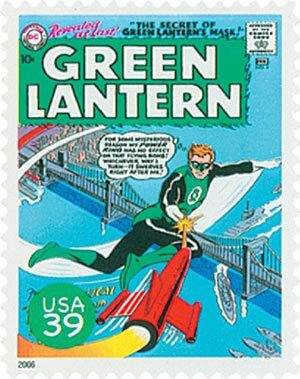 In January, The Flash and Hawkman appeared in the first issue of Flash Comics, and in July, the Green Lantern came to the pages of All-American Comics. 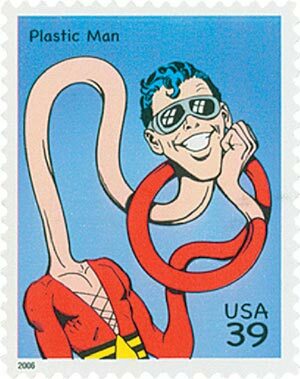 The following year, Plastic Man, Aquaman, Green Arrow, and Wonder Woman found ready audiences with children and with young adults. 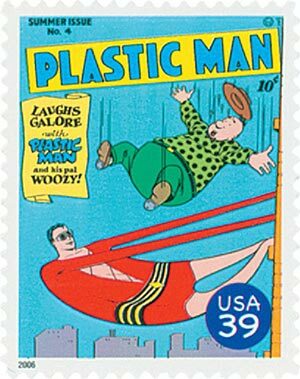 World War II soldiers relaxed with these comic books just like kids back home. 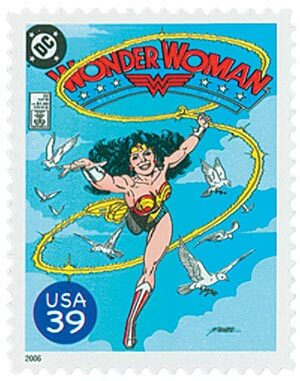 Since their creation, Superman, Batman, and Wonder Woman have become perennial, popular culture favorites.